"I like being vulnerable. It challenges and scares me. In a world that accepts nothing but perfection, sharing and appreciating my weaknesses and strengths is very important. I'm learning through this project how to love and appreciate more the beautiful body God gave me, and for that, I'm so proud to take part in this. Proud to be a woman!" "We fixate on our so-called 'imperfections.' When I hear someone mention one of theirs, it's frequently something I've never even noticed before, and I think they're crazy. So, why do I fixate? I'm probably crazy, too." "The Body Project has really made me think about my body and how often I put myself down. Having such a supportive community has really helped me focus on being body positive and loving the body I have." "I can't think of a time that I didn't dislike something about my body. It's always been easier to name the things I didn't like versus the things I did. Joining this project started as just a supportive, empowering thing for me, but I've actually taken it to heart and seen a real change in how I think about myself and talk to myself. I've made a conscious effort to love myself unconditionally." 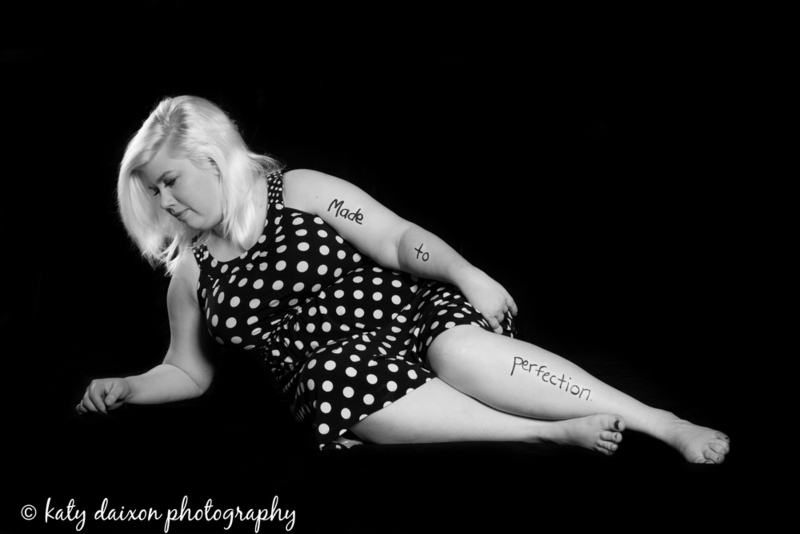 "Participating in The Body Project has been a confirmation that it is okay for me to not be perfect. I have to stop focusing on everything I don't like, and start appreciating the parts of me that rock. It has been so affirming to spend time with other ladies who struggle with the same journey as myself. We are all beautiful. Thanks, Katy, for helping us to see that!" The Body Project Session #5: Who cares what my body looks like?